Sideburns are an important part of a guy's haircut and make a statement. Sideburns can be trimmed conservatively to mid-ear or can be grown to the bottom of the ears or beyond to add flair to a trendy haircut. Don't go too far below the ears though, unless you want to look like you've just jumped out of a 1970s time machine. Besides thinking about which style of sideburns complement your haircut, you should also consider your profession and your office culture. If it's conservative, shorter and more tapered sideburns are the way to go. If you are in a less conservative office or profession, you have a bit more leeway with your style choice. 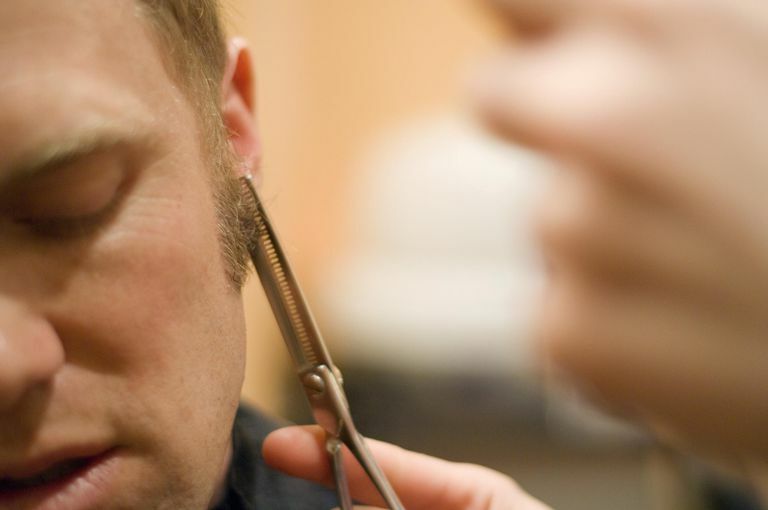 Getting your sideburns trimmed is an important part of any haircut, but they might need a bit of cleaning up in between visits to the barber or stylist. Proper shaping and trimming of your sideburns will give you a more groomed appearance. Most haircuts look better with sideburns, which can help balance facial features. Never cut the sideburns higher than the point where the top of the ear attaches to the head. At least some sideburn is nearly always preferred. Trim sideburns so they are even with each other and ignore your ears. Everyone's ears are off balance, so trimming sideburns even with the ears will make them lopsided. Longer, thinner sideburns will make your face look longer, while thicker ones will give it a wider appearance. Shorter sideburns give a more balanced look to an oval-shaped face. Everyone's hair grows at a different rate, so there is no rule of thumb about how frequently you should trim your sideburns. If yours are thin and tapered, you will probably have to trim them up more often than your friend who has wider and fuller sideburns. If they start to look fluffed out before it's time for a haircut, give them a bit of a trim to maintain a neat and well-groomed look. When trimming the sideburns, it is helpful to use a trimmer such as the Wahl Groomsman to enable you to shape the bottom clearly before shaving. The Gillette Fusion is also a good choice. It has a single blade on the backside of the razor's head. This blade is perfect for creating a clean line at the bottom of the 'burn. 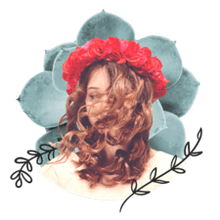 Start with clean hair that has no product in it. Comb the sideburns neatly, following the direction of growth, which is normally down. Choose a trimmer that has guards so you can choose the length you prefer. Hold the trimmer facing you in a vertical position and trim the sideburns in a downward motion. Comb the sideburns forward and trim off any hairs that extend beyond the natural hairline. Comb the sideburns back and trim off any hairs that extend beyond the natural hairline. Trim the bottom edge parallel to the floor. Look straight into the mirror and place your index finger at the bottom of each sideburn to check for evenness. Adjust the length as needed.